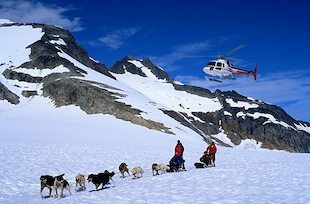 Helicopter/dogsledding is probably the single-most popular tour and suitable for all ages and abilities. 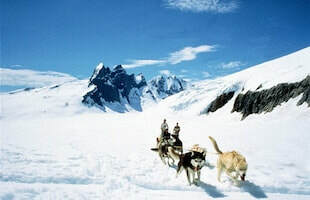 We have three helicopter dogsled camps in Juneau and one in Skagway. 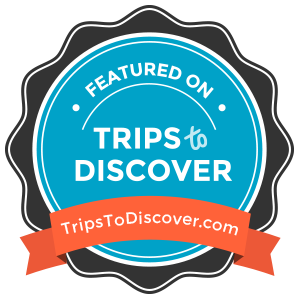 All of the tours are excellent and feature 30 minutes flight time and an hour at dogsled camp. Differences are the glacier on which the camp is located, flightpath and some logistics. Feel free to ask for more details to see which one is right for you. 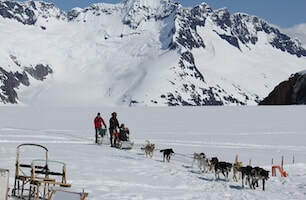 All of the dogsled camps are excellent and you can mush your own sled or have a seat. The main difference is in the location and timing of tour. ​The Norris is a premium excursion as there is a slightly longer flightseeing path. Also you have the option to upgrade to longer time at the musher camp. The Mendenhall is the original trip and is a classic, flying over the Mendenhall lake and up past ice falls and waterfall. Lap children (under 24 months) are permitted to fly with a parent at no charge. The Herbert glacier trip offers you a chance to add on a bonus stop on the ice formation section of the glacier. 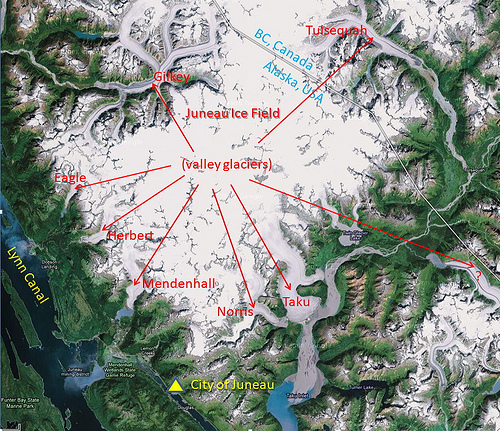 The map on the right shows the Juneau Icefield; ​Juneau is at the base of the map in Yellow. The Herbert & Mendenhall Flights (lower left) The Norris flight flies over downtown Juneau and up the Taku River to circle over the Taku Glacier before landing above the Norris. The weather can be different on the two sides of the icefield -- sometimes one side has weather issues while the other is clear. We keep a pulse on weather conditions and, in the event of a weather-cancellation on your route, work quickly to seamlessly transfer your booking to another flight.